We are still at the dawn of the third great crisis of our civilization: it is no longer merely man confronted with his weakness (with the Greeks); no longer merely man confronted with his guilt (with Luther, at that tragic time for Europe, after the black plagues at the end of the Middle Ages); man today finds himself confronted with his solitude and with the desperate quest for a meaning to his life, confronted with the need to search for what would be an “authentic existence”, “true life”, which he fears never being able to enjoy. Among the innumerable witnesses that could be called to the stand in this interrogation, such as Rimbaud, Van Gogh, Dostoyevsky, Nietzsche, or Kundera, I have intentionally kept two cries, because they seem to express the question that was Thérèse’s own: “Here is my old anguish, right there in the hollow of my body, like a bad wound that every movement irritates; I know its name, it is the fear of eternal solitude. And I have the fear that there may not be any answer” (Camus). To understand her secret as a warrior, we might go back to Nehru’s admission to Malraux: “I have three enemies: the Chinese, famine, and myself. But, of the three, the most difficult is myself.” Very quickly she learned that nothing can be done on the path of what for her was the true life without fighting against herself, against illusion. She, who, up to the end, had the childish fears of a little girl, would never fear the truth, never fear to “do the truth”, as Saint John says: whether about herself, her faults, her own limits, about her family, her community, her sisters, or one day about death itself. She did not fear that the truth would diminish her. Quite the contrary. It was never a malicious truth. For she found here the true way to be victorious: by disarming, by never resisting. Instead of sidestepping an issue, cheating, trying to justify herself, telling herself stories, she disarmed, and she disarmed from the very moment when the truth was at issue. Then she found something greater: a confidence that opened up freedom to her. Her sister Céline, older than she, who entered Carmel six years after she did, reported that one day, in watching Thérèse live, she experienced a moment of discouragement and said to her: “Oh, when I think of all I have to acquire.” And Thérèse answered her at once: “Rather, how much you have to lose” (CSG 23). 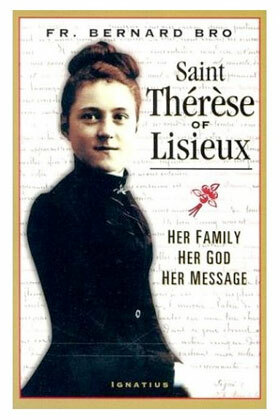 — excerpted from ‘Mystic, Comic, Everything’, Chapter 1 of Saint Thérèse of Lisieux: Her Family, Her God, Her Message by Fr Bernard Bro, OP; posted on Ignatius Press’ Insight Scoop; link via Amy Welborn. “Mr. 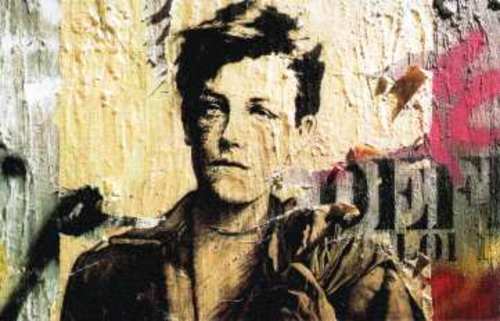 Duffy’s strategy is to flesh out the intense relationship biographers have established between Rimbaud and his rigid Roman Catholic mother, to elevate it to equal status with the connection to Verlaine, which dominates Ms. Holland’s film.